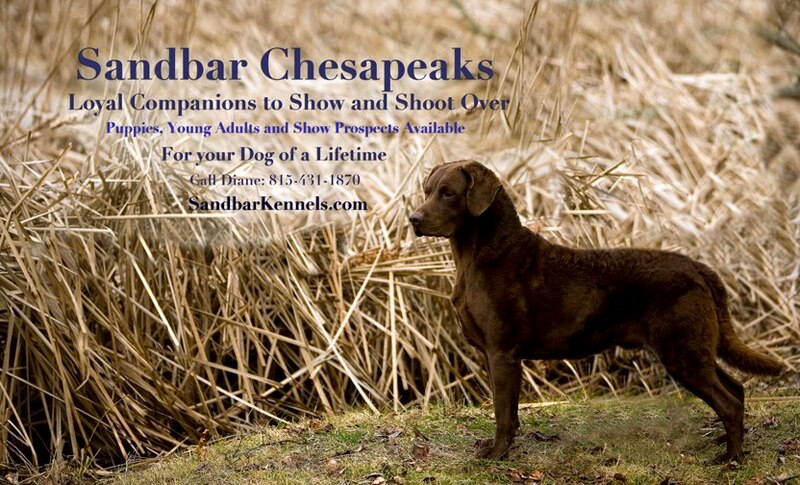 At Sandbar Kennels we strive to maintain the traditional Chesapeake Bay Dog. 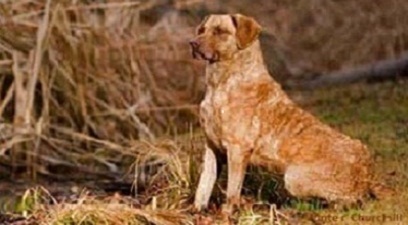 This breed's prowess as a versitile hunting dog is legendary along the Chesapeake Bay and it's tributaries. Truly a dog made to do it all!! They say when conditions got to rough for other hunting breeds, they'd leave the work to the Chessies. Long days, rough terrain, wicked weather influenced by icy Atlantic winds made a powerful, determined hunting dog a must! Early Bay watermen sought to produce a dog who would be a partner rather than just a tool. They wanted a dog with the intelligence to be a complex problem solver and require minimal handling. They needed a dog with the strength and stamina to work in heavy cover, high waves and still stay fresh well into the day. Since he would be a constant companion emphasis was placed on a pleasing personality, a quick wit and a bright sense of humor. 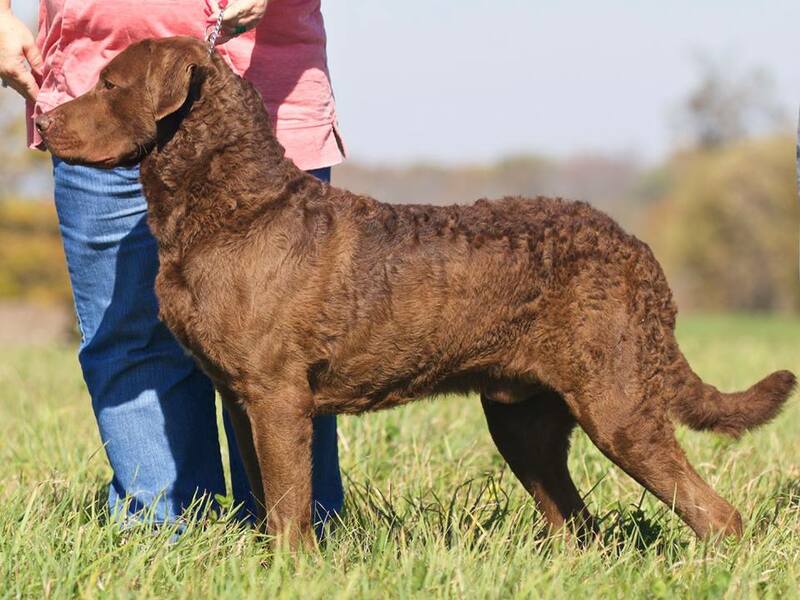 What the watermen envisioned has become the Chesapeake Bay Retriever we know today. The result of generations of careful breeding has produced a protective , loyal and powerful hunting dog that is equally useful on upland game and waterfowl. He is a working Retriever without equal. sometime produces bone jarring concussion. Well angulated joints provide the body with natural shock aborption. This reduces the incidents of injuries such as cruciate ligamet ruptures as well as wear and tear on hips, elbows and shoulders. Additionally, it is importat to have adaquate lenth and girth of neck. That in combination with a broad back skull will help the dog accomodate large waterfowl with ease. 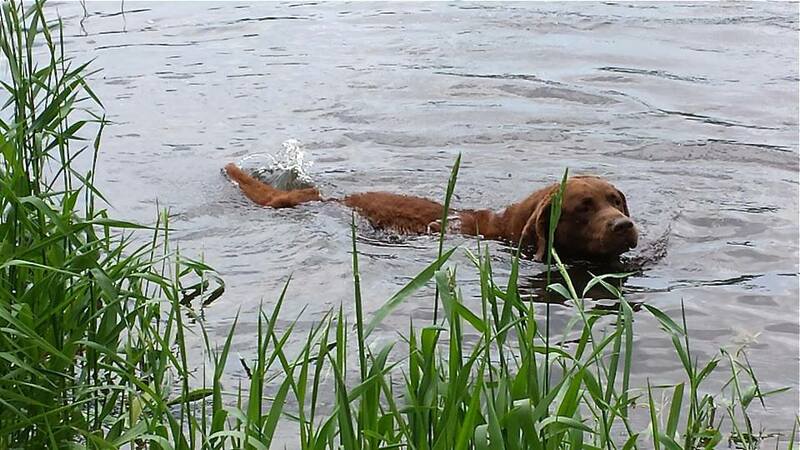 One of the most important traits for Chesapeake is his thick, wavy and waterproof coat. Proper texture is of utmost importance. It is essential that the coat have a wooly undercoat for warmth and a wavy, crisp top coat to repel water. These elements combine to produce an almost waterproof covering. After a good shake a Chessie will be almost dry to the touch. An overly soft coat will retain excess water and put the dog at risk of hypothermia. A correctly made and cared for coat also repels much of the dirt Chessies encounter in the field. Here at Sandbar we strive to put the body with the brains! 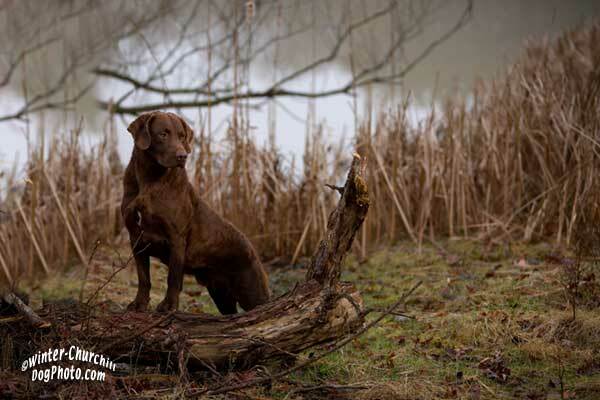 When properly made, a Chesapeake should be a powerful, sturdy dog with a quick wit. He should posses tons of drive both physical and mental. Loyalty is generally unmatched and when you bring a Chessie into your home, you have a new best friend for life! Just Remember: Life is too short to shoot over an ugly dog!